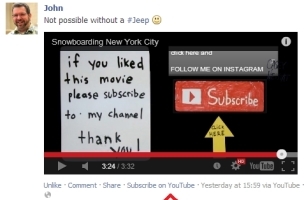 Facebook Testing ‘Subscribe On YouTube’ Links? Some Facebook users are seeing “Subscribe on YouTube” links below links to YouTube videos that appear in their News Feeds. 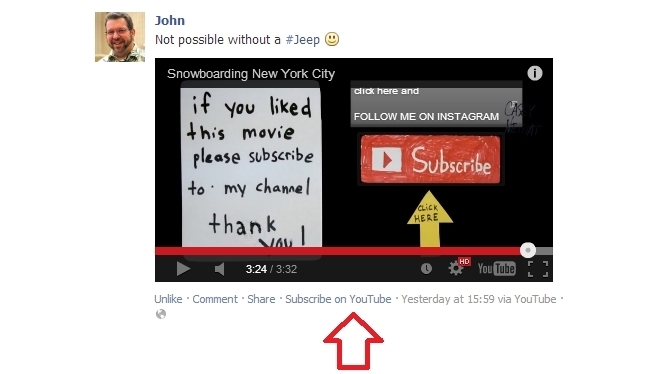 It seems that this feature is enabled automatically when you click the “Share to Facebook” icon on YouTube. There doesn’t seem to be another way to currently do this that I could find. So the question is: Why is this not done automatically, and why only if you use the manual share button from within YouTube? I also wonder why this Subscribe on YouTube feature is not yet available for Google Plus or Twitter. Readers: Have you seen similar “Subscribe on YouTube” links?